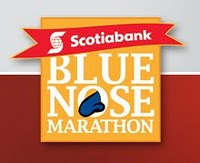 Well over 100 NL Runners were in Nova Scotia this weekend for the Bluenose Marathon races. Full and Half Marathon clock times are listed below and a complete list of searchable results including the 10k and 5k is HERE. If we missed you on this list please drop us a note at admin@nlrunning.com.